Swagnarok wrote: Whenever Ethan Hondou killed himself, did he use his own gun or one that Hidemi had on her? But he put Hidemi's footprints on it I believe. I don't remember that being specified but one would logically think he would do so to make the tale believeable. Or maybe Gin and Vodka were convinced by the blood, the truth serum, the wounds, and the faked recording. Hyoue's never mentioned any relative of his in the 7 Files in which he's actually appeared (913–917, 920 and 980), so you probably are thinking of what Vermouth said. Okay, so: I understand that I probably won't get an answer for something like this, but here's for trying. Can anybody tell me what it was called? Maybe it's one of the new tracks/arranges that is yet to recorded in a CD. Since a few years ago there have been new tracks or arranged tracks that have been incorporated to the anime but they don't have a CD release yet. @ms500: we don't know. Gin knows Vermouth takes many disguises but apart from that he doesn't seem to care to know much about her. He's not too fond of her either, but since she's the boss' favorite then he can't take any action against her. Hey, can anyone tell me where exactly this animation cell was used? I can't quite remember right now. 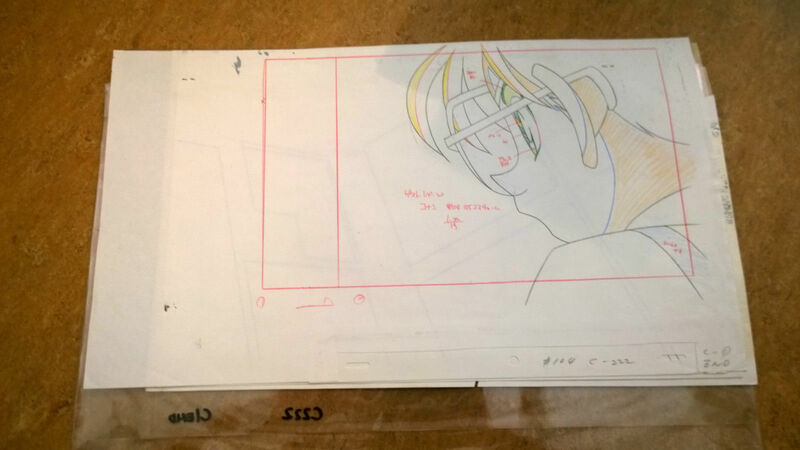 Serinox wrote: Hey, can anyone tell me where exactly this animation cell was used? I can't quite remember right now. Could you provide the exact time stamp(s) or the scene(s)? That’s from 19:34 to 19:44 of Episode 104, where Conan looks at the articles about the Goblins. Oh wow, I never would have guessed. Why does it look so bright compared to the episode ? 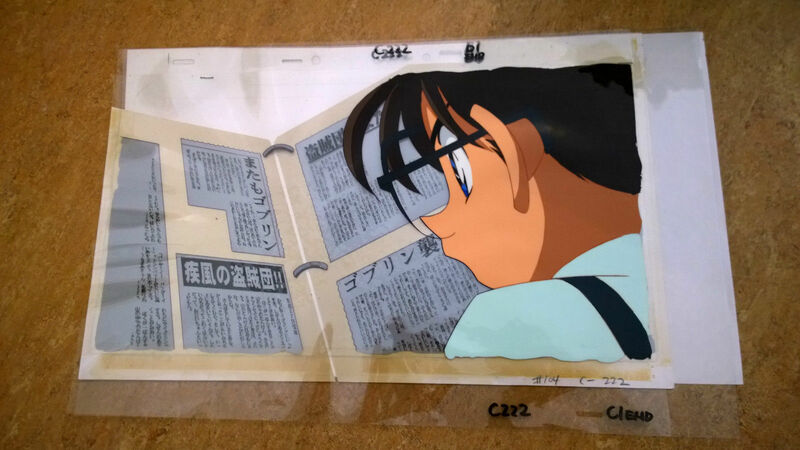 Valentin wrote: That’s from 19:34 to 19:44 of Episode 104, where Conan looks at the articles about the Goblins. Ahh, you're right, thank you.